**55+ Active Adult Community** Sunny & Spacious TOP FLOOR 2 bed/2 bath unit at Thoreau Place! Open concept design with abundant living space. The kitchen is nicely proportioned with a separate pantry and serving bar. The master suite has a full bath and walk-in closet. Don't miss the large triangular balcony, a great place to relax. The location is quite convenient, just 1 mile to Metro. The South Lakes Village Shopping center is next door, an easy walk via the underground tunnel. Thoreau Place is a very social community, and offers a host of organized activities for residents. The condo is undergoing a number of upgrades, including a complete hallway remodel, a new interior patio, and more. 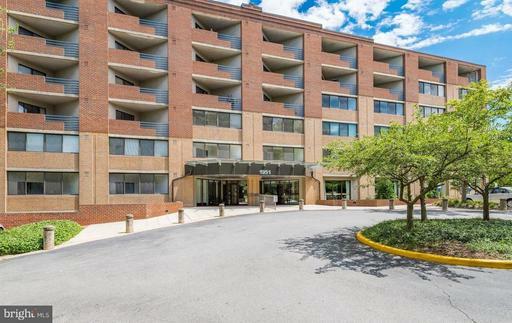 Listed by Grant P Doe Jr. and Grant T Doe of Long & Foster Real Estate, Inc.
DirectionsFrom RESTON TOWN CENTER: South on Reston Parkway, cross Toll Road, left on Sunrise Valley, right on South Lakes Drive, Left on Sagewood Lane to 1951 on right.